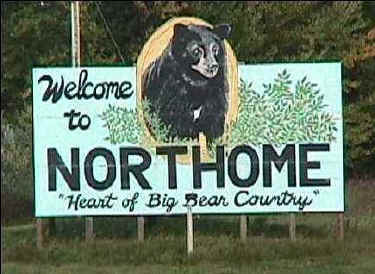 Northome is by the shore ofbear Bartlett Lake and only a couple miles north of Island Lake. 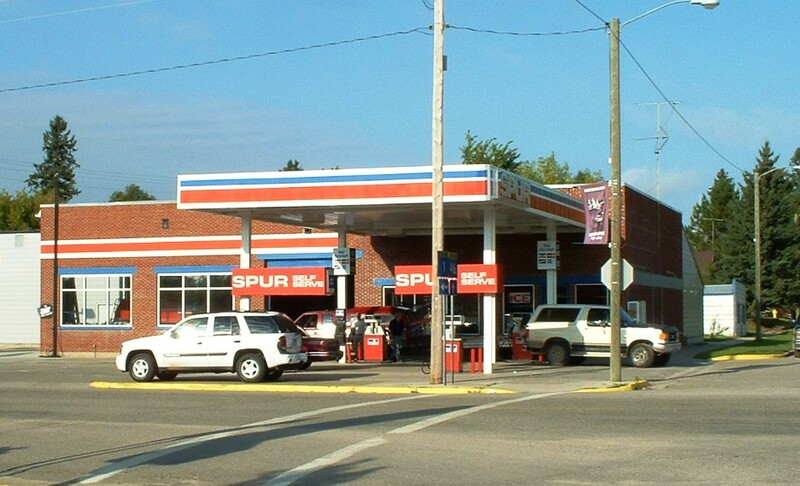 Located at the apex of three state highways you can find everything needed for comfortable living – groceries, hardware, health clinic, churches, craft shop, auto body, gas station, post office, banking, library, farmers market, K-12 school, local newspaper, beauty salon, and fine dining. Let the wilderness surround you. 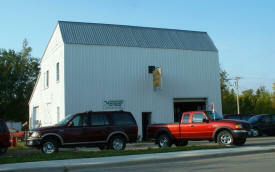 Fishing, hunting, skiing, hiking, canoeing, biking, ice skating, camping, snowmobiling, berry picking – activities for all seasons. Experience the awakening of Spring as the ice breaks loose from the shores, the bears begin wandering from their winter dens and the loons return to the lakes. Wake on a Summer morning with the loon’s call interrupting the morning hush while the stillness and freshness of the morning air is being warmed by the rays of sunrise. Set off through 1the rustling leaves of Fall, smell the sweet scents of the forest and see the red, orange, yellow and rust colors bursting forth from every tree and bush. Enjoy the sparkling snow of Winter on skis or snowmobile. The solitude and beauty add to the experience that only the wilderness can offer. 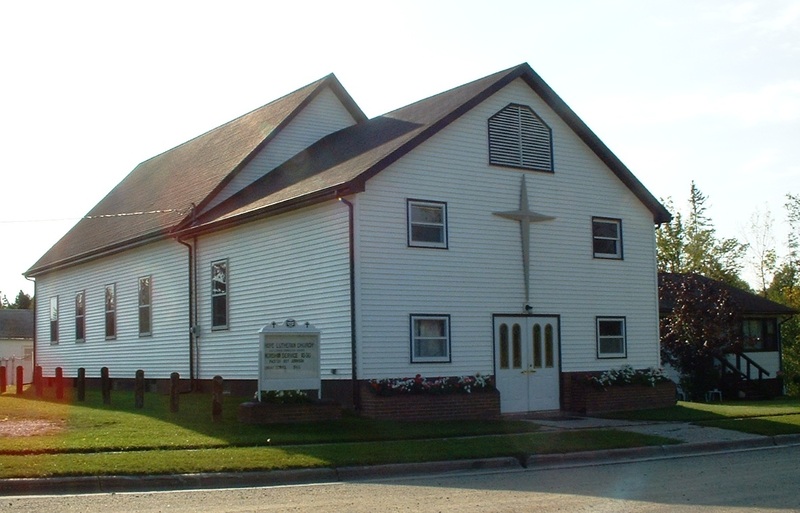 Northome is a city located in the southwestern corner of Koochiching County, Minnesota. U.S. Route 71 and State Highways 1 and 46 meet in Northome and are the main arteries in the community. According to the United States Census Bureau, the city has a total area of 1.90 square miles (4.92 km2), of which 1.51 square miles (3.91 km2) is land and 0.39 square miles (1.01 km2) is water. 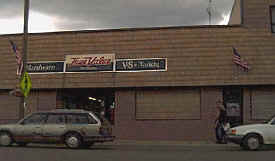 The elevation is 1,440 ft (439 m) above sea level. As of the census of 2010, there were 200 people, 89 households, and 53 families residing in the city. The population density was 132.5 inhabitants per square mile (51.2/km2). There were 104 housing units at an average density of 68.9 per square mile (26.6/km2). The racial makeup of the city was 97.0% White, 1.0% Native American, and 2.0% from two or more races. There were 89 households of which 23.6% had children under the age of 18 living with them, 44.9% were married couples living together, 11.2% had a female householder with no husband present, 3.4% had a male householder with no wife present, and 40.4% were non-families. 34.8% of all households were made up of individuals and 18% had someone living alone who was 65 years of age or older. The average household size was 2.20 and the average family size was 2.83. 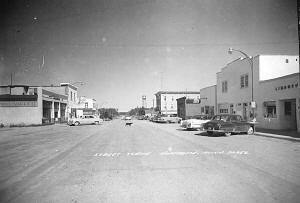 The median age in the city was 49.7 years. 22% of residents were under the age of 18; 6.5% were between the ages of 18 and 24; 16% were from 25 to 44; 32% were from 45 to 64; and 23.5% were 65 years of age or older. The gender makeup of the city was 47.5% male and 52.5% female. Northome, a city in T. 151N, R. 28W (Englewood), sections 19, 20, 29, and 30, was incorporated as a village on September 16, 1903; it was first settled by Claude Fish and C. W. Fields on the homestead of A. M. Brohiem, Fields having had a business earlier at Bridgie and Orth in Itasca County; the site was called New Bridgie; when the post office was established in 1902, it was named Phena; when the Northern Pacific Railroad came in August 1903, the post office department requested a name change, and the community became Northome. 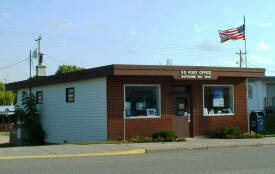 Northome (1,451 alt., 343 pop. 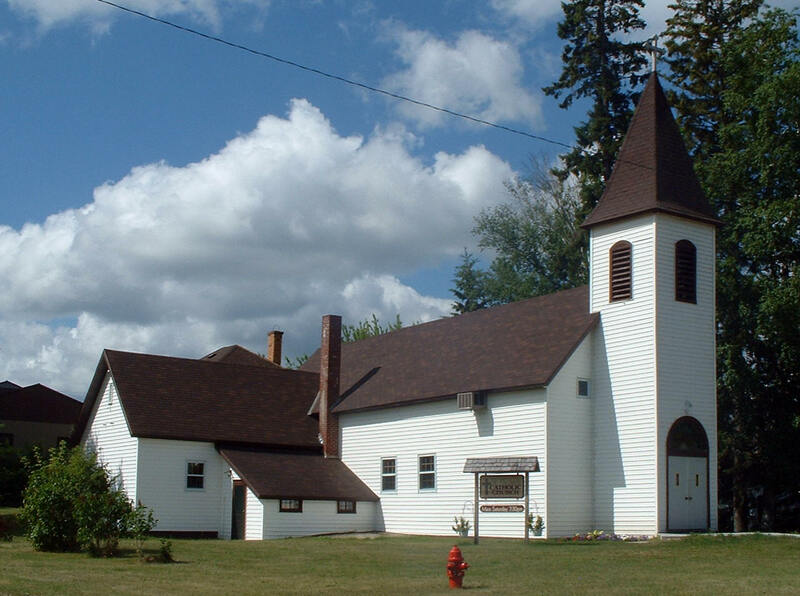 ), its name contracted from North Home at the request of the United States Postal Service, is one of the Koochiching County communities that are turning from lumbering to farming. With white pine, cedar, elm, balsam, maple, birch, and basswood covering the area, the village, settled about 1897, grew as a typical lumbering center. 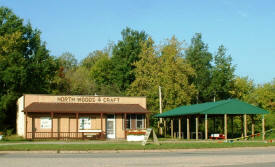 Sawmills were built, and the Big Fork and Northern Railroad was constructed between Northome and Big Falls (see Big Falls). 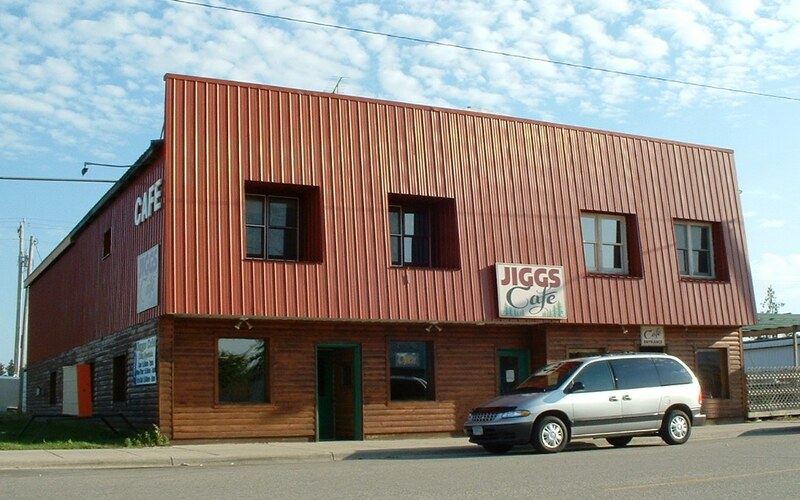 In 1912, Chris P. Ellingson bought 200 acres of timber land on the north shore of Island Lake, put up a sawmill that had a ten-hour capacity of 40,000 feet, and organized the Island Lake Lumber Company, which gave the community new life. 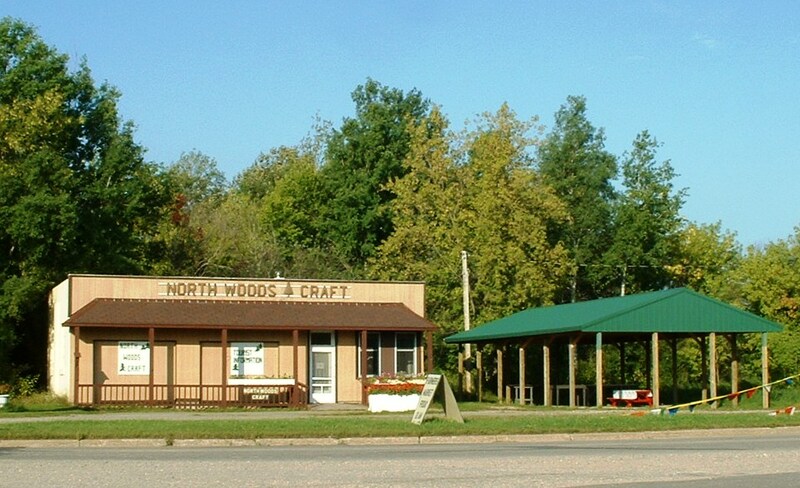 Sawmills are still operating in Northome, and pulpwood is shipped to the mills at International Falls. The rich, black loam prevalent in this vicinity attracted settlers, who have developed cut-over lands for farming. Many of the lumber workers have also turned to agriculture. 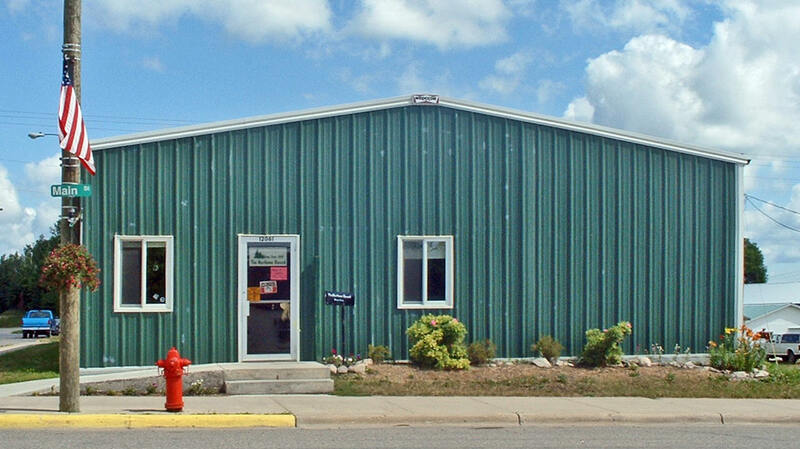 The soil is adapted to the growing of alfalfa and clover, and a principal source of income in the Northome region is the sale of clover and alfalfa seed. 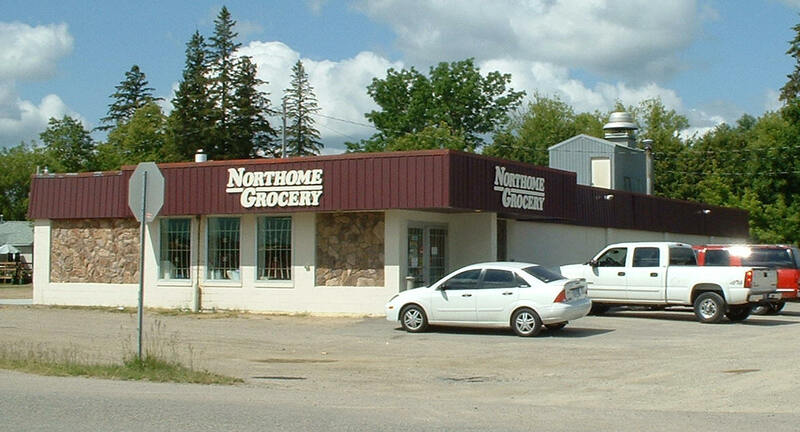 Northome has a cooperative creamery that handles most of the dairy products of the district. 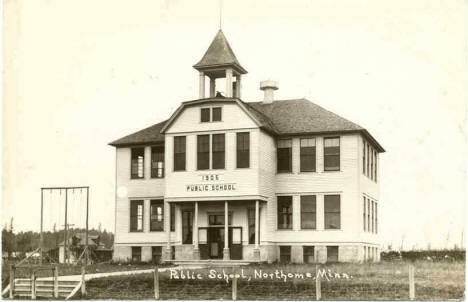 The Northome Consolidated School (cor. 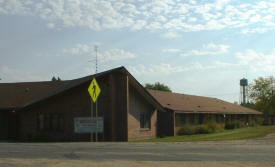 State 46 and Lake St.) is a grade and high school for Koochiching County pupils in the unorganized school district. In 1922, a fireproof, shale-brick addition to the original four-room frame structure was built at a cost of $50,000. 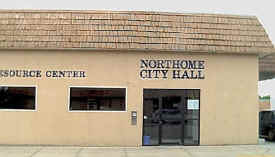 Northome is popular as a vacation town. 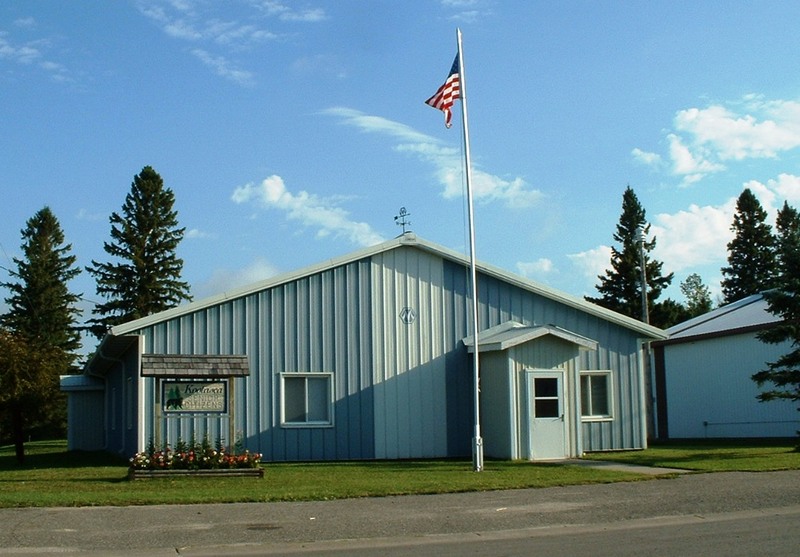 Several lakes offering good fishing are within easy driving distance, and there are many scenic attractions for tourists, among them Island Lake, three miles south of Northome, which has 12 resorts and lodges. 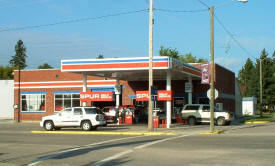 Game is plentiful, and the hunting season brings an influx of sportsmen. 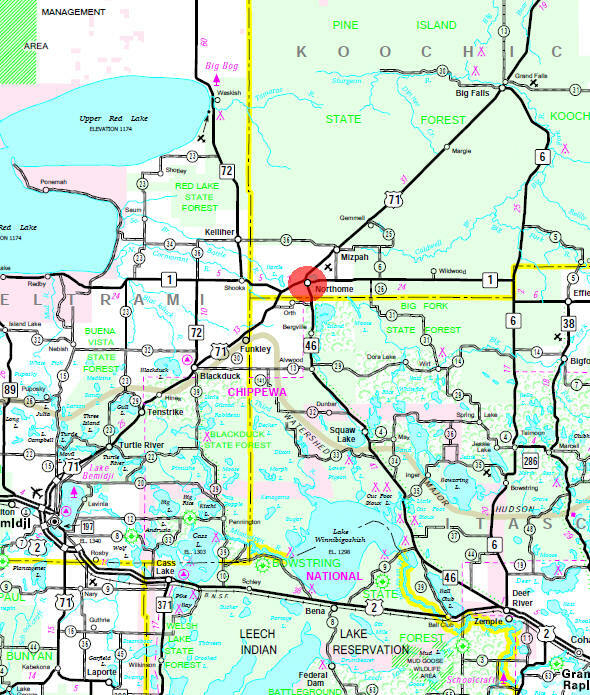 Avenue of Pines Byway cuts right through the heart of Chippewa National Forest, and borders the large Lake Winnibigoshish, revered by Minnesota anglers for walleye, northern pike and most other game fish. Other fine fishing waters include Cut Foot Sioux Lake, Squaw Lake, Ball Club Lake, and many smaller lakes. 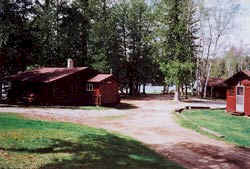 Nine forest service campgrounds as well as countless resorts and private campgrounds provide a wealth of places to stay and play in the woods and waters. 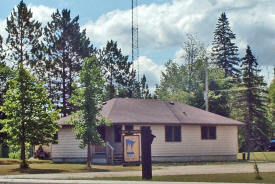 The route offers views of mature red pine stands, sparkling lakes, marshes, and more. Bald eagle sightings are common, as well as deer, bear, porcupine, osprey, and many other species. We have nine modern units with Kitchens and spacious living rooms. 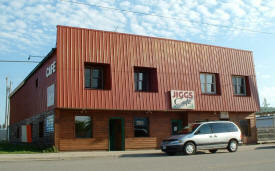 We have a full service restaurant close by that serves breakfast, lunch and dinner. 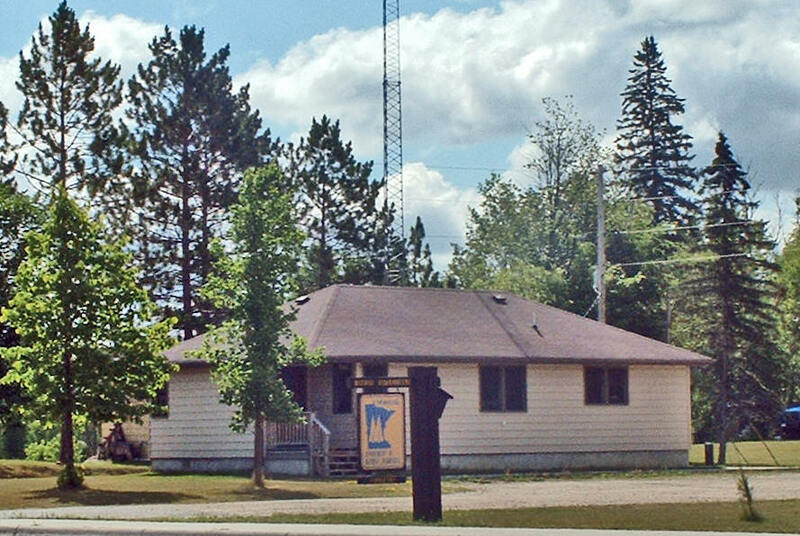 Dora Lake Lodge has over 70 acres of picturesque Norway Pine and features over a mile of private lake frontage for your enjoyment in the heart of the Chippewa National Forest. 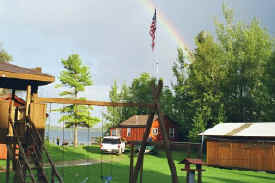 Six large cabins w/lake view on one of the best walleye lakes in northern Minnesota. Cabins are completely equipped w/microwaves, ceiling fans, picnic tables, grills & lawn chairs and well spaced with large trees. 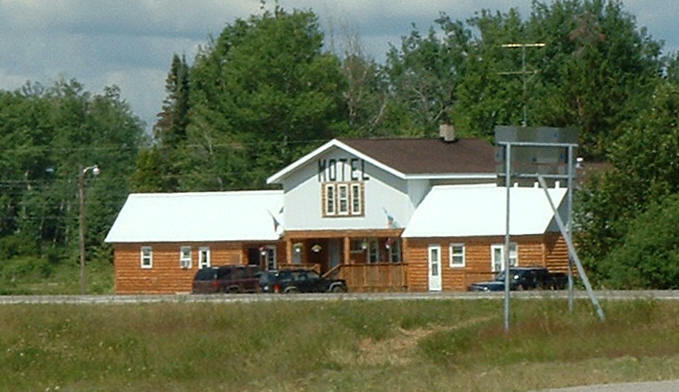 October Ridge Resort is settled on 39 acres with mowed nature trails that tie into thousands of acres of Chippewa National Forest to suit people that have the desire to Hike, Snowshoe, or Cross Country Ski. Sleepy Hollow is surrounded by an abundance of public land for your hiking, bird-watching, and hunting enjoyment. Island Lake is a beautiful lake -- truly a fisherman's playground with 2 islands, many bays and structure galore! 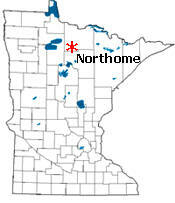 The Northome Biomass Plant is planned as a nominal 15 megawatt "green energy" plant which will use "wood residue" from the wood products industry in northern Minnesota and adjacent areas as fuel to generate electricity. 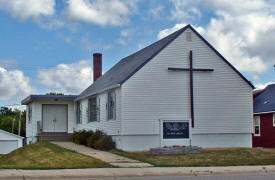 The plant will be located near Northome, MN, USA. 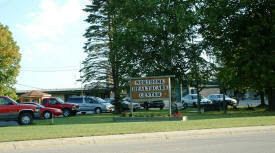 The Northome Industrial Park is a designated site located about two miles to the east of the community on Minnesota State Highway 1. 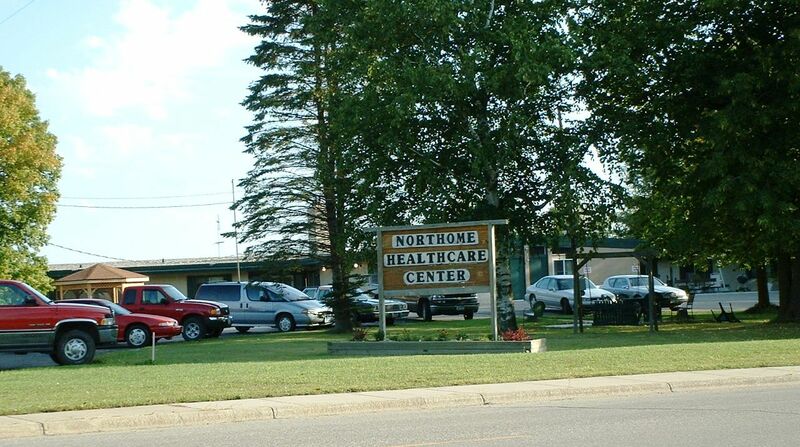 Northome has excellent access by road, being located at the junction of three major state highways. The plant will be capable of providing steam, hot water, pressurized hot water, compressed air, chilling and cooling directly to future commercial users at the industrial park. Big Bear Country, Inc. (BBC, Inc.) is a 501(c)3 nonprofit based in Northome, Minnesota. Big Bear Country, Inc. is dedicated to life-long learning and better understanding of the natural world and of man's historic relationship with natural systems. 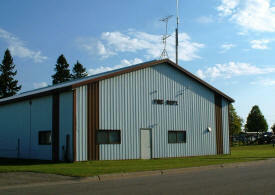 The Big Bog State Recreation Area (Big Bog SRA) established by the 2000 Legislature, is the newest member of Minnesota's state park system and perhaps one of the most unique. 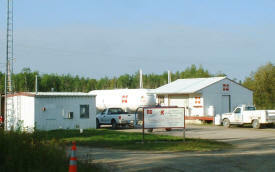 It is located in northern Minnesota's Red Lake peatland close to the town of Waskish. 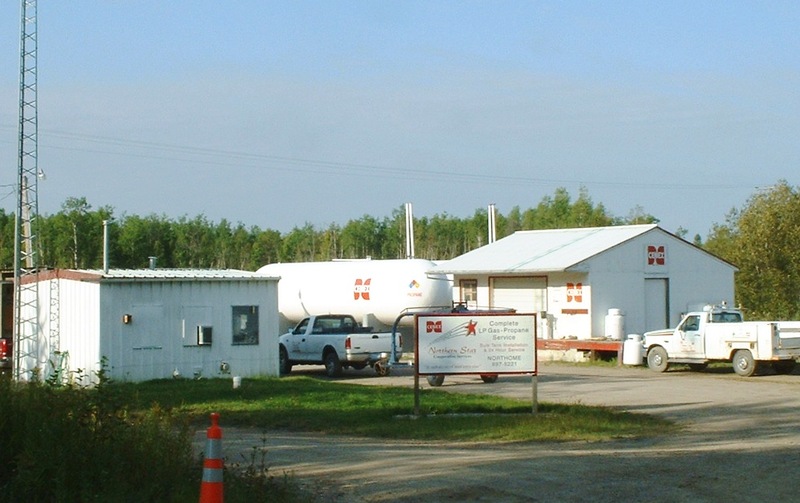 Big Bog SRA contains a campground and day use area in its southern unit on Red Lake, and 9000 acres of peatland north of Red Lake and west of Minnesota Highway 72 in the northern unit. 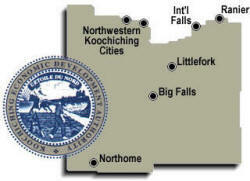 Northome is the location of Koochiching County's new industrial park, which broke ground in the fall of 2000. It will host 10 acres of current site with expansive potential to 40 acres. Itasca Power is the proposed anchor tenant, which will generate electrical power by solid waste wood in a state of the art facility. This in turn will create many financial advantages for other businesses through excess hot water opportunities from heat to aquaculture - the possibilites are endless! The community itself has its own local economical development agency (The Northland Progressive) which works hand in hand on the county's economic development team. 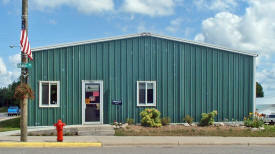 From a revitalized downtown to its new prospering business park, Northome has what it takes to execute business value. We are one of the main links connecting the trail system from Bemidji to International Falls by the Paul Bunyan/ Blue Ox Trails and from Northome to Marcell by the West Bowstring Trail. 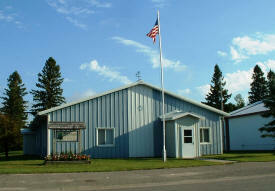 We maintain 135 miles of groomed snowmobile trails. We keep busy repairing bridges and clearing trails, not to mention grooming these trails during the week. We also have a grant-in-aid for the Caldwell Brook Trail from Gemmell to Effie.